This Christmas tree ornament will add a taste of Texas to your holiday decor. 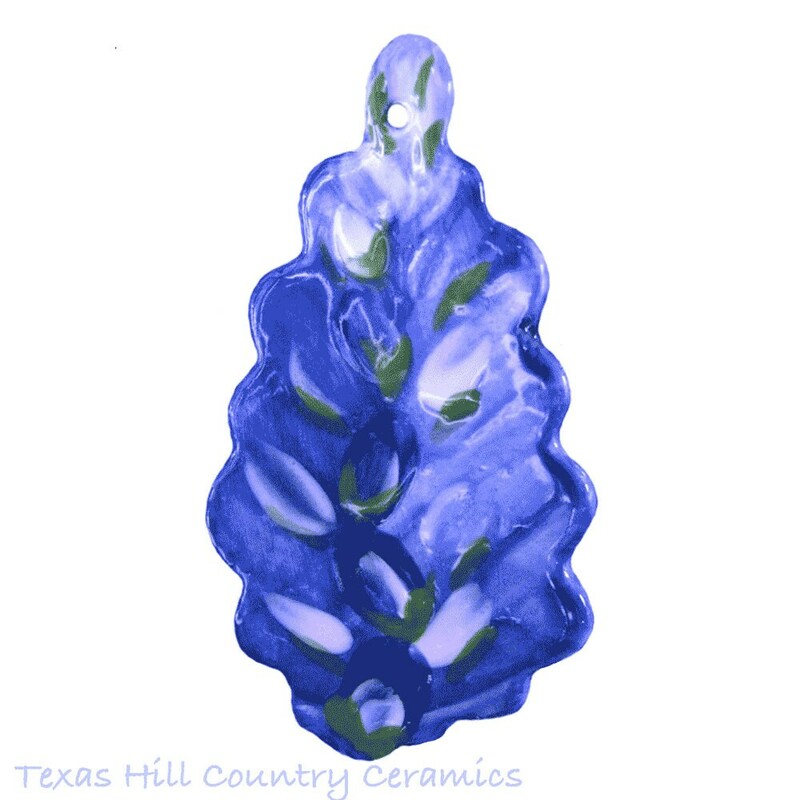 This handcrafted Texas Bluebonnet Wildflower Christmas Tree Ornament is hand made of slab rolled clay, each bluebonnet wildflower is hand cut and kiln fired. The flower detail is on both sides of the piece, each flower will arrive ready to hang. This Texas Bluebonnet Wildflower Ornament will arrive ready to hang on your Christmas Tree or front door Wreath. It can also be used in your vehicle on the rear view mirror. This bluebonnet wildflower ornament is hand made in Texas, USA. Each ornament is handmade and hand painted in my studio located in the Texas Hill Country. This ornament is Made to order.